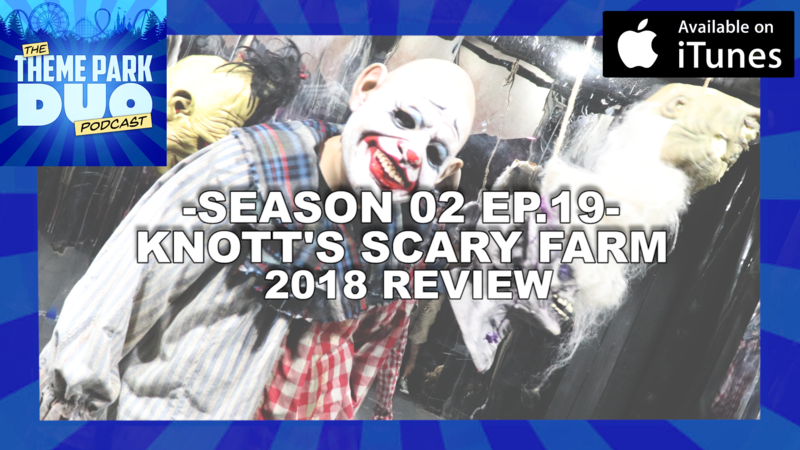 On another special Halloween episode of The Theme Park Duo Podcast, The Duo talk about Knott’s Scary Farm for 2018! The Grandaddy of all Haunts, Scary Farm returns with two new mazes, a new scare zone, and a ton of new entertainment. With thousands of monster roaming the streets, there is nowhere to hide at Knott’s Scary Farm. Does it stand up to last year stellar event? Listen and find out!